A person may wish to plan for their future care should the time arise that they lose capacity. Sophie Allinson explains how this can be carried out with an advance directive. In the first part of my series of blogs, found here, I explained the concept of Mental Capacity and how this is assessed. In the second part, found here, I outlined how decisions regarding treatment and care are made when a person lacks capacity using the concept of ‘best interests’. In my final blog, I explore the options available regarding an advance directive to prepare for a situation in which a person loses capacity. A person may wish to plan for their future care and treatment should the time arise that they lose capacity. This can be carried out by executing an advance directive. It is important to note that an advance directive must be made at the time at which you have capacity. An advance statement is a statement you make whilst you have capacity in order to make your feelings and wishes clear, usually regarding future care arrangements. Practical issues i.e. what happens to your cat should you move into a care home. The advance statement does not need to be signed, however doing so would avoid any confusion over its authenticity. The advance statement should then be given to someone who will be involved in your care; whether this is a family member, carer or social worker. If someone makes an advance statement then this must be considered if a situation arises where their best interests are to be determined. However, it is important to note that an advance statement is not legally binding. It is used to evidence your feelings and wishes and is persuasive, but can be overridden. 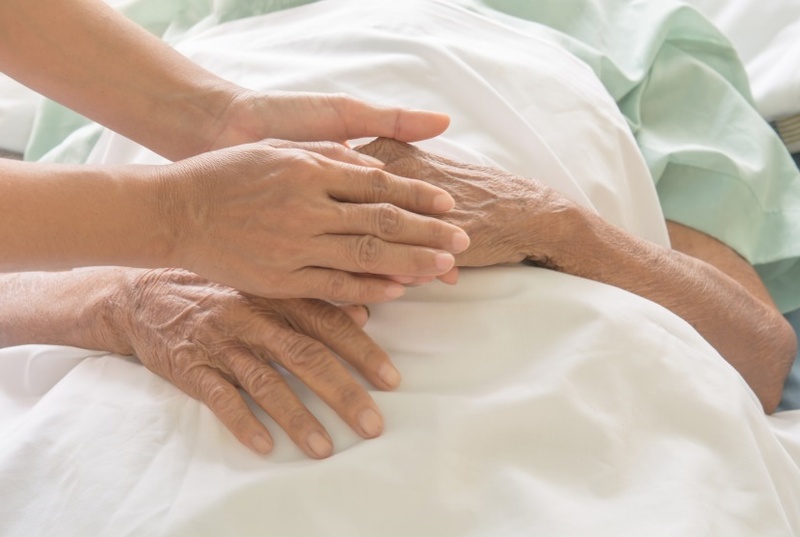 Mary wrote an advance statement expressing her wish to be cared for at home until the end of her life as she did not want to move into a care home. Unfortunately Mary suffered from a debilitating stroke a few years later and is now wheelchair bound. Mary’s home is unsuitable as there is no bathroom or bedroom on the ground floor. When considering her best interests, Mary’s advance statement was taken into account but overridden as her home was regarded as insufficient for the level of care she required. An advance decision is a more robust expression of your wishes, you may have heard of these being referred to as ‘Living Wills’. Advance decisions more frequently relate to treatment which a person does not wish to undergo in the future, should they be unable to refuse it themselves. entered into of your own accord. If your advance decision complies with the above criteria, it takes the place of decisions made in your best interest by other people. This means that the advance decision will be legally binding and should not be departed from. It is important to note that there must be no evidence to contradict the advance decision since its creation, such as expressing a change in mind. Jeremy is a devoted Jehovah Witness and is heavily involved with the local community. Due to religious beliefs, Jeremy created a valid advance decision which states that should be ever suffer serious internal bleeding, either during an operation or as a result of an accident, he does not want to receive a blood transfusion. In this example, if Jeremy was involved in a car accident and required a blood transfusions, the doctors would be unable to provide this treatment. However, if Jeremy suffered a hemorrhage as a result of disease, such as an aortic aneurism then his advance directive would not be applicable to this circumstance and a blood transfusion may be provided. An alternative, or additional, option to an advance directive is to enter into a Lasting Power of Attorney (LPA) for care and welfare. This is different from a property and financial affairs LPA. This will enable you to appoint an attorney who will be entitled to make decisions on your behalf which they deem to be in your best interests, giving considering to your known wishes and beliefs. An attorney only becomes entitled to make decisions on your behalf from the moment that you lose capacity. An attorney can be any person over the age of 18 including a partner, member of family or a friend. Ideally they should be a person who respect your personal wishes and beliefs. More than one attorney can be appointed and you can decide whether they are to make decisions on their own or together. When making an LPA, you can restrict the decisions an attorney can make. For example, you may want to appoint an attorney to deal with medical care and care homes, but not decisions about life-sustaining treatment. Michael has suffered from anxiety problems for most of his life and is uncomfortable at the thought of being moved to a care home away from his friends and family. He appoints his younger sister, Beatrice, as his care and welfare Attorney. Beatrice respects Michael’s wishes regarding his medical care and, should Michael lose capacity, will make decisions reflecting these wishes as far as is possible. More information regarding Advance Directives can be found via your local mental health trusts or GP surgeries. If you require any advice or assistance regarding the above information please do not hesitate to contact the Medical Negligence and Serious Injury department here.